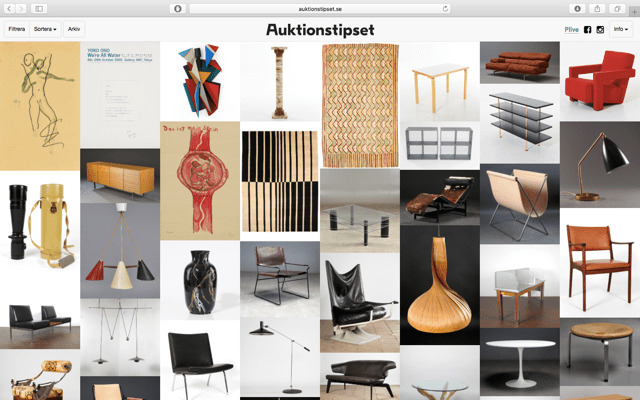 In early 2015 we launched Auktionstipset, a curated website dedicated to the best online auctions of Northern Europe. Since the start we have hand picked over 45 000 objects, spanning from furniture and textiles, to lighting, ceramics, fine arts and most things in between. New items are added daily. Head over to the website or, for just a few highlights of the highlights, our instagram account.